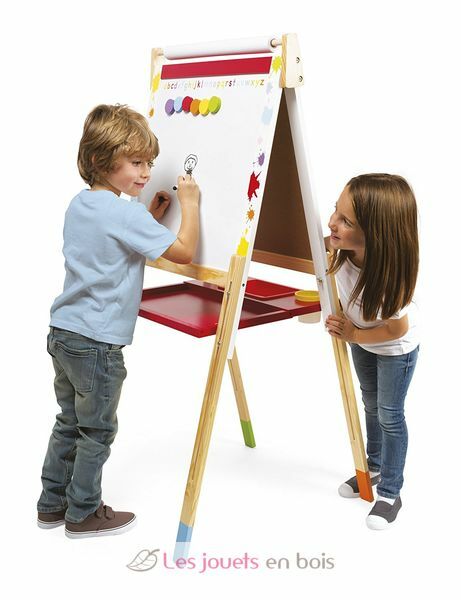 This Wooden Adjustable Easel is the perfect gift for the young artists in your life. 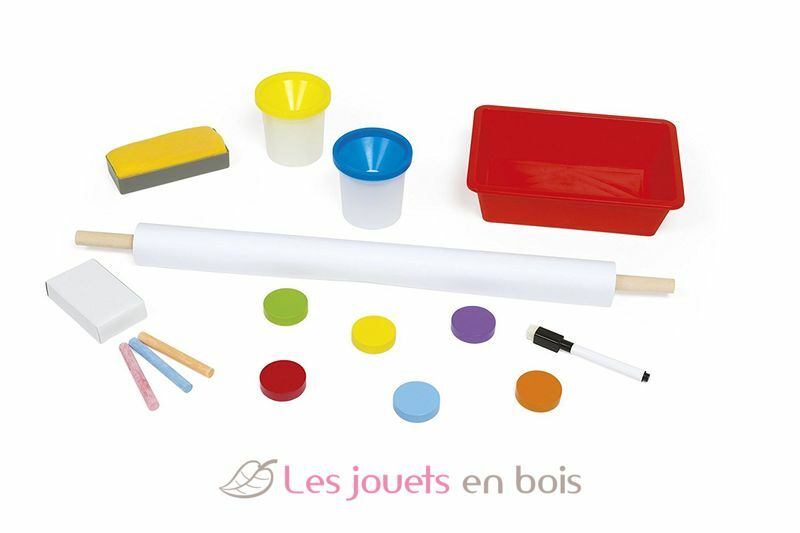 With all of the exciting options, they’ll be able to let their imaginations run wild. 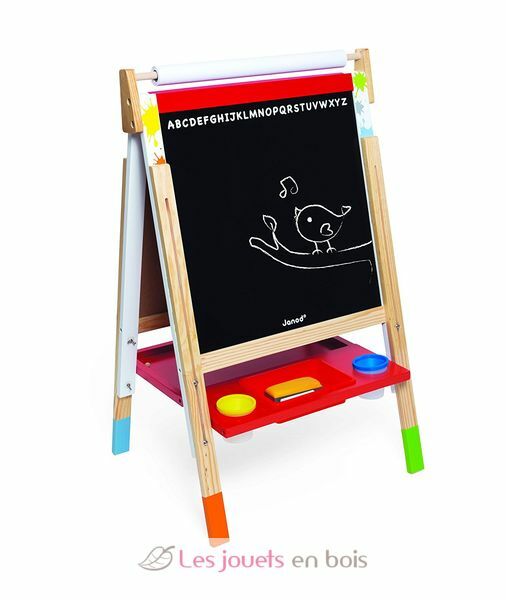 Height is adjustable, can be as low as 91 cm and as high as 126 cm. 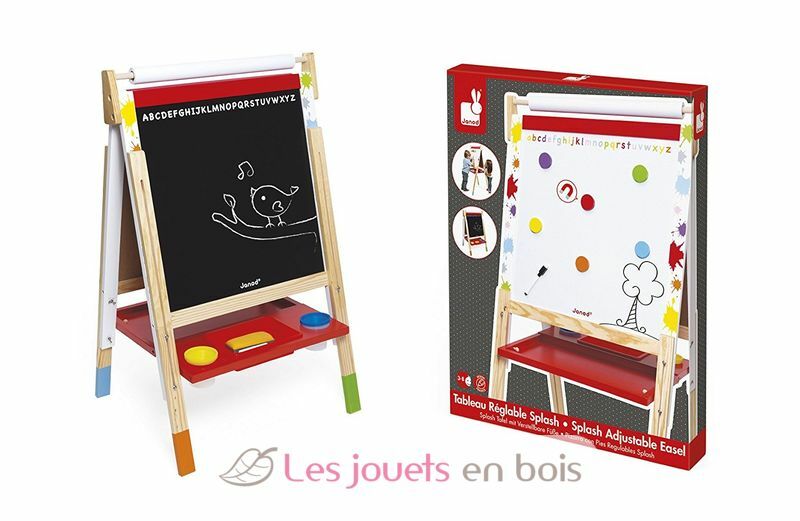 This easel includes 13 accessoires. 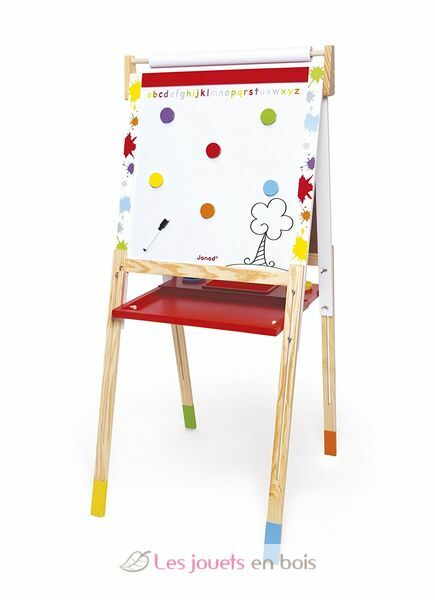 Splash Adjustable Easel made by Janod. Item number 09611.